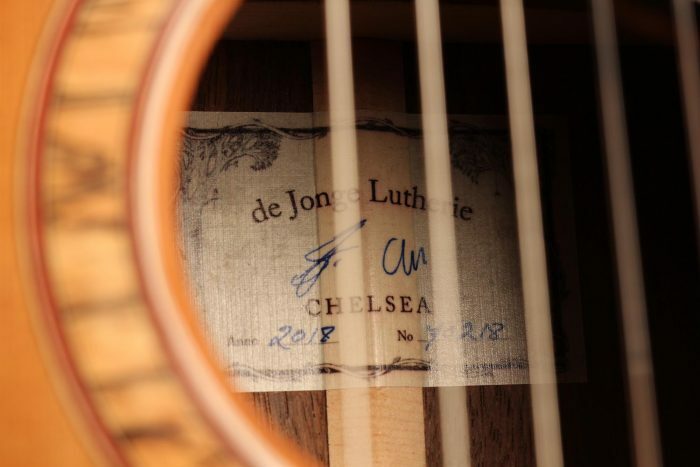 It was in the late 60s when Sergei de Jonge learned how to build guitars as the first apprentice of Jean Claude Larrivée, the soon-to-be godfather of Canadian guitar builders. 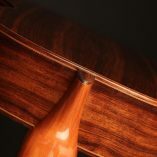 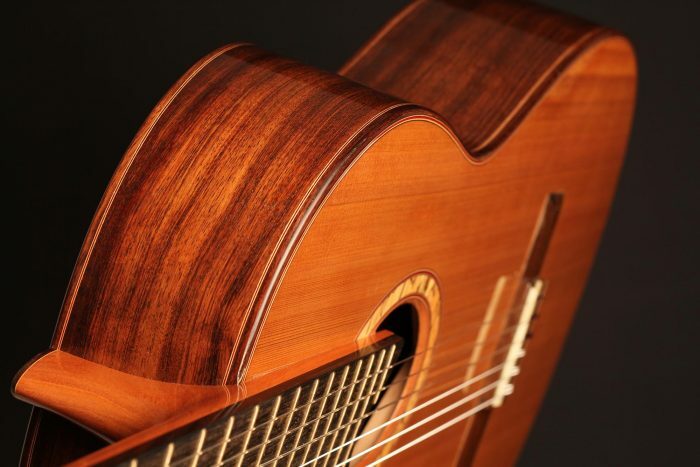 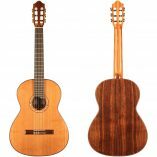 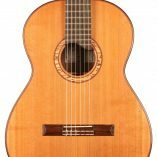 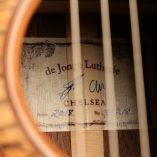 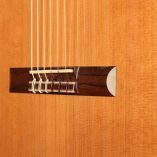 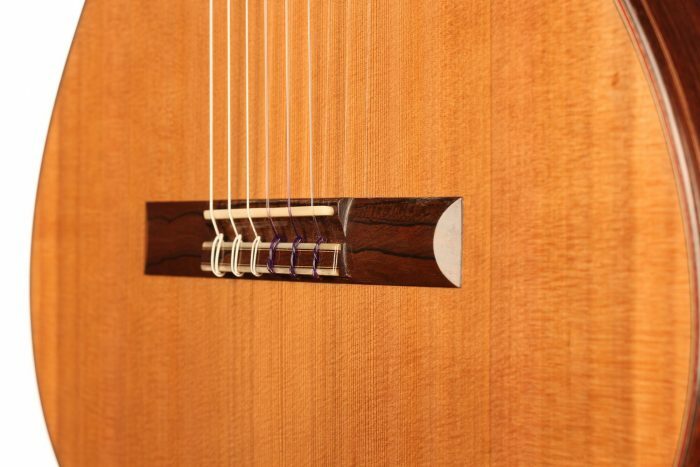 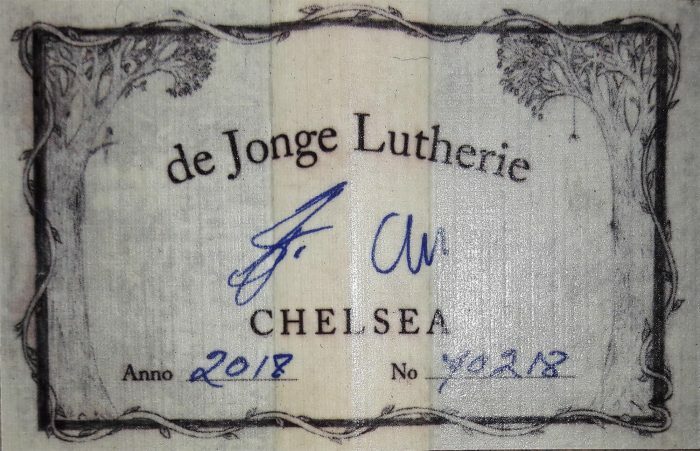 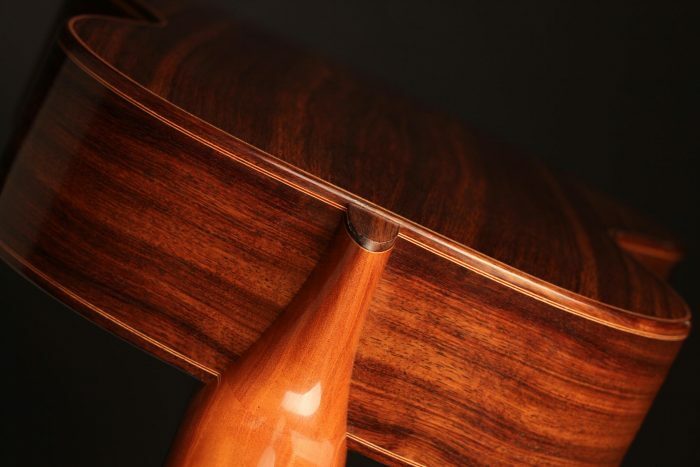 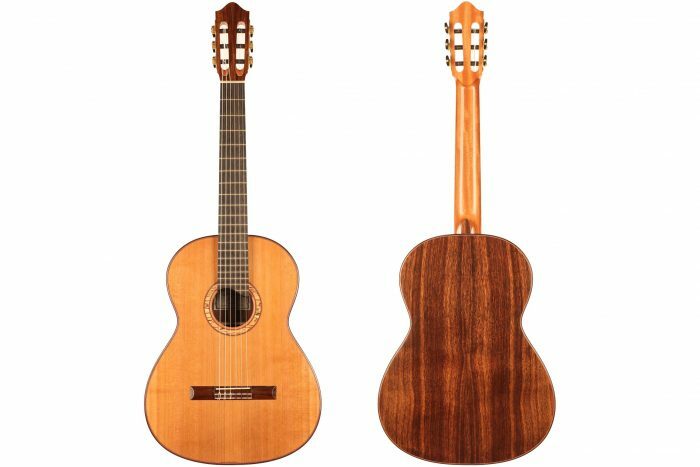 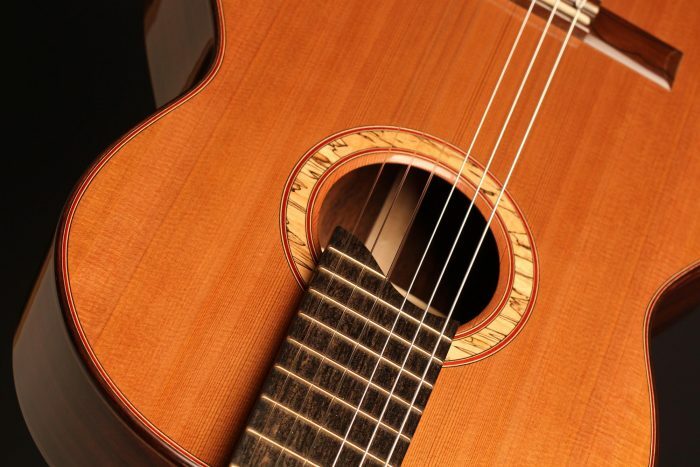 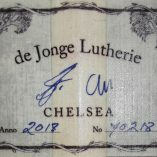 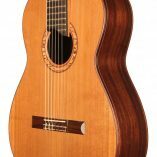 In 1972 de Jonge established his own workshop and henceforth built mainly classical guitars. 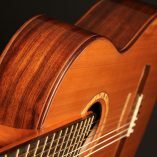 He also started sharing his knowledge and skills with his daughter Joshia, who now runs her own workshop. 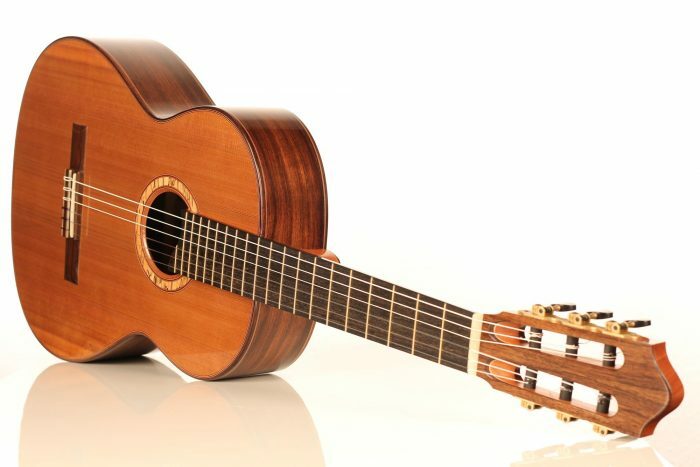 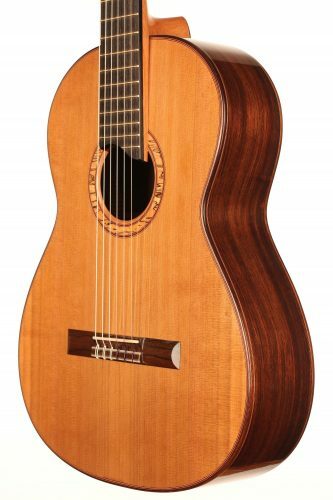 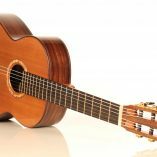 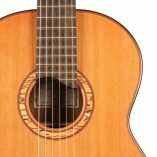 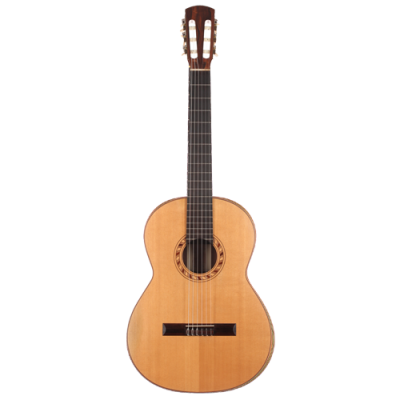 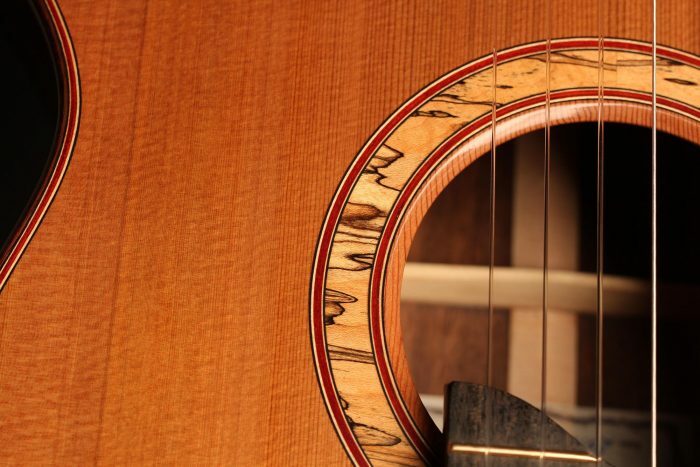 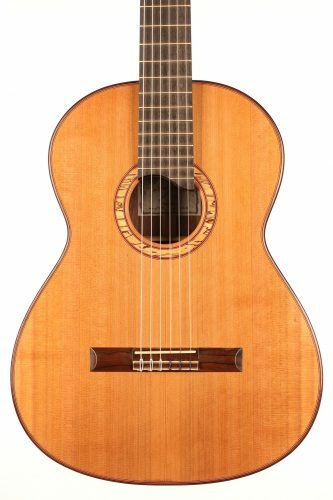 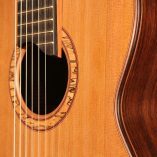 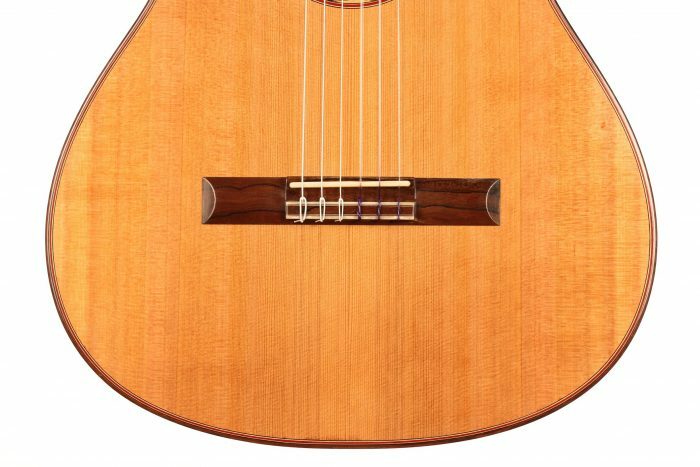 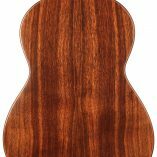 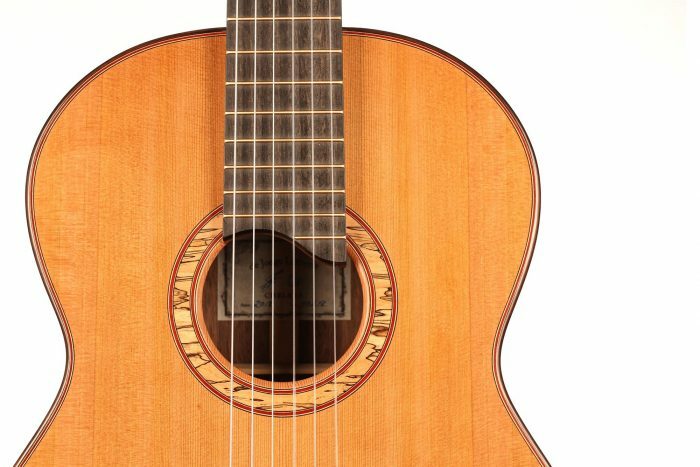 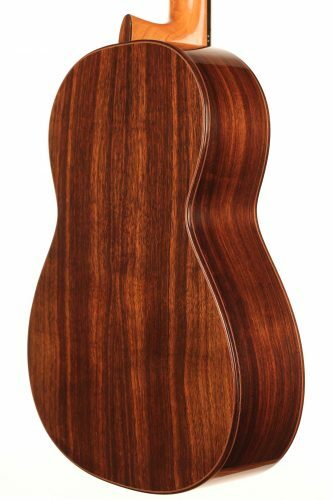 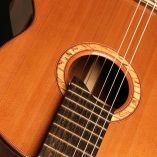 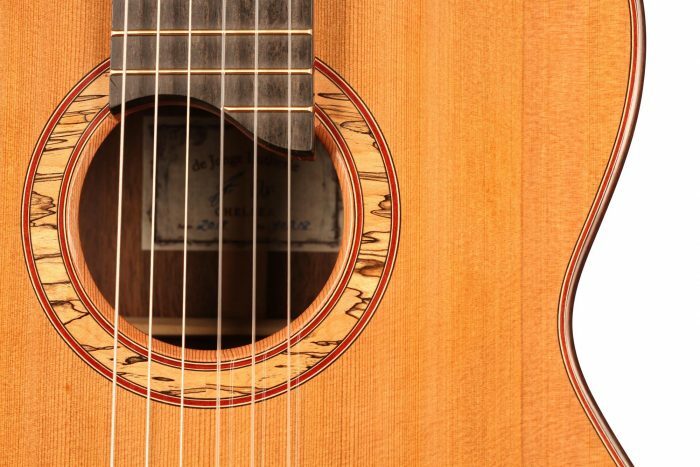 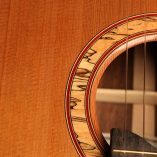 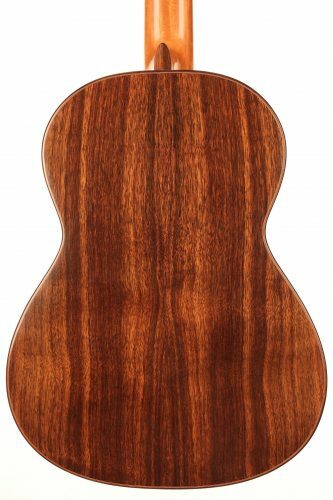 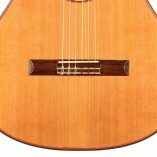 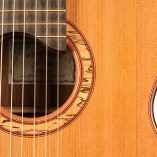 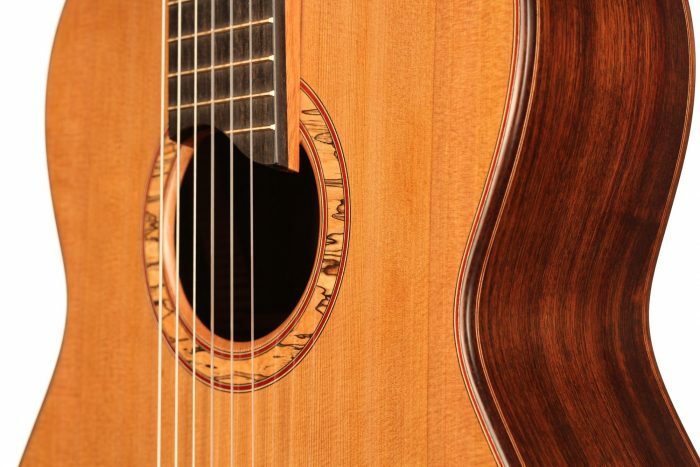 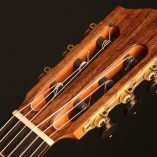 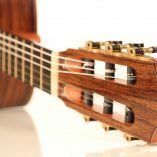 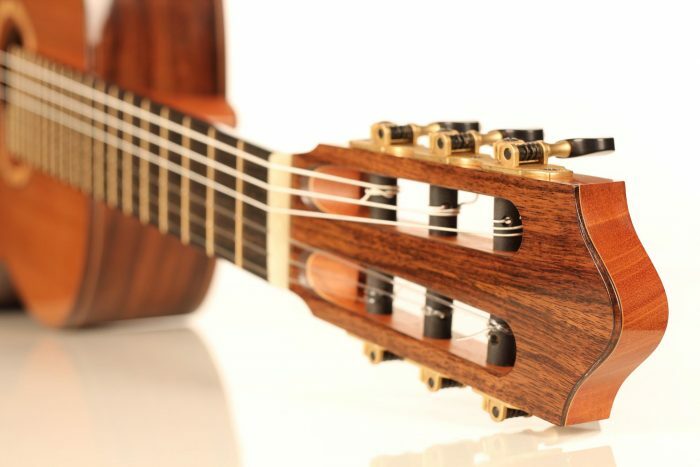 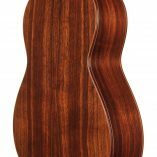 This cedar-double-top guitar has an incredible sustain and richness of harmonics that makes it a flawless singing instrument. 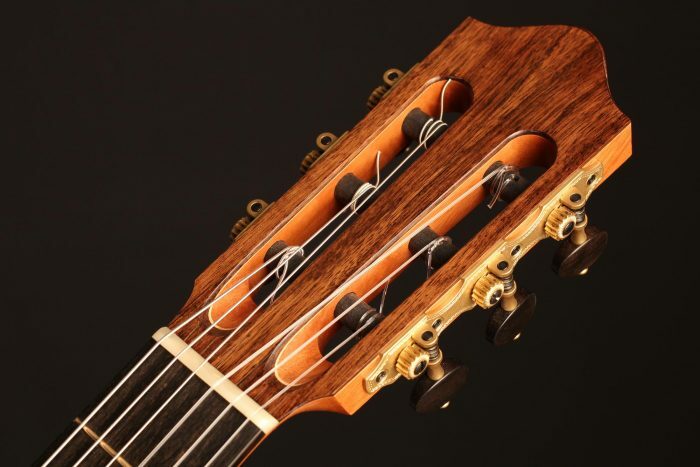 The comfortable neck shape and the elevated fingerboard combined with the double-top construction provide an unbelievable ease of playing for both right and left hand. 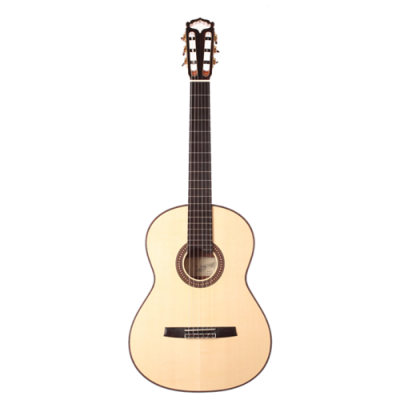 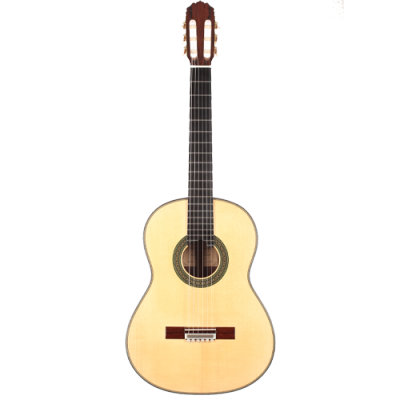 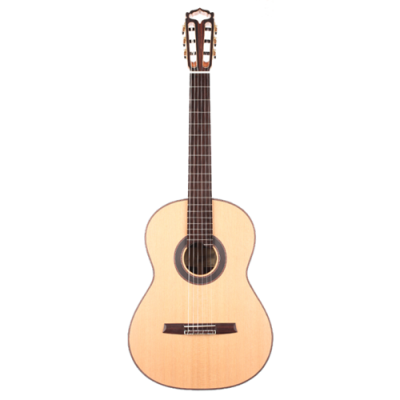 It is overall a powerful modern guitar with a warm multifaceted tone.